The growth of freelancing worldwide is staggering. In the US alone, freelancers make up 35% of the current workforce, some 55 million workers who collectively earned $1 trillion in 2016. That number is predicted to reach 43% by 2020, with some analysts citing that figure at 80% of the global workforce by 2030. While the freelance economy is booming, participants are at the mercy of flawed and individually-centralized job marketplaces. These traditional marketplaces struggle to engage new members and eliminate fraud, all while controlling freelancer earnings by setting pay rates, taking a steep cut of earnings, charging for bids, and withholding or even denying payment. As a result, freelancers are powerless to control their personal data and retain their full earnings. Conversely, employers have limited access to consistent, trusted, and verified worker data, putting them at the risk of losing money and wasting time in the process. A few years ago, we started Moonlighting to help empower people everywhere to pursue the career they always wanted, to lead a better life, and to do work that they truly love. We wanted to create a free and open marketplace that gives everyone a shot at getting discovered and building their own workplace independence. This mission has turned into a movement, spreading quickly throughout the country and soon, across the globe. Moonlighting removes the middleman between employers and freelancers, connecting them directly to empower on-demand employment. In addition, it offers a suite of powerful SaaS tools that simplify communications and small business accounting. With the upcoming blockchain integration, Moonlighting will decentralize worker profiles (including reviews, recommendations, education, licensing credentials) and allow freelancers to port their profile to any employment marketplace in the gig economy. Thanks to the peer-to-peer model, platform commission fees are eliminated. Moonlighting provides a full turnkey solution with a suite of tools including online portfolios, instant chat to accept direct hire requests, proposals, invoicing, and online payments. Trust is a major problem for freelancers and employers. With the upcoming blockchain integration, once a blockchain profile is created on Moonlighting, independent workers will no longer have to create and maintain multiple online profiles. They can simply port their profile and earned reviews to other participating platforms providing employers with more consistent and accurate ratings and profiles. No more guessing which source(s) to trust – Moonlighting blockchain user profiles will make hiring online safe and trusted. The blockchain integration will allow for faster payments via instant payments through cryptocurrencies. Blockchain technology also supports tokenization and smart contracts that create new incentives for participation in Moonlighting and the freelance economy. The upcoming Moonlighting Rewards Program will incentivize freelancers and clients to act fairly and professionally, while building a stronger marketplace. Since launch, Moonlighting has gained great traction among freelancers and employers across a variety of verticals, from graphic designers to dog walkers, and data scientists to cake decorators. We’ve expanded rapidly, building a user base in all 50 states. How Does Moonlighting Make Money? 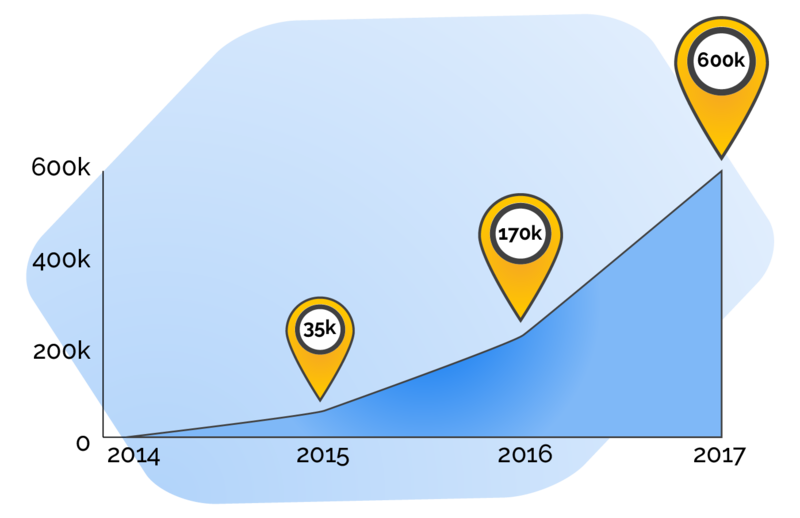 In April 2016, Moonlighting began monetizing its freelancer advertising services and SaaS tools, creating the Boost membership, while also monetizing enterprise employer job postings to create a 30-day job posting product called Blast. In July 2017, Moonlighting partnered with leading recruitment platform, Recruitology, to accelerate recruitment advertising revenue generated through third-party sales of the Moonlighting Blast product. As a result of these monetization efforts, Moonlighting has generated more than $750K in revenue to date. $40-$100 30-day job listings are available for recruiters and small businesses. 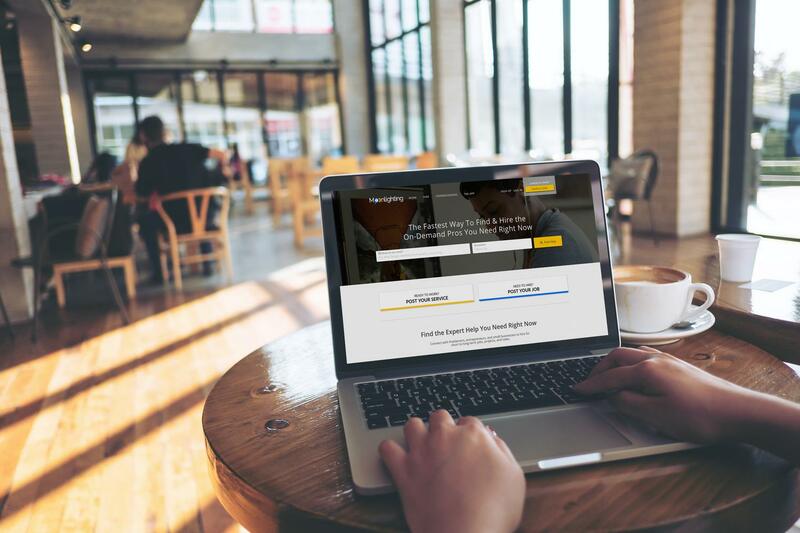 These job posts enable these users to instantly connect with the best professional flexible, part-time, and freelance candidates to source, recruit, and hire instantly. $10/mo per user subscription-based offer is available for freelancers and small businesses. This subscription provides promotion within the Moonlighting marketplace, unlimited use of SaaS tools, unlimited direct communication with potential employers, 0% processing fees on payments received through Moonlighting, and will soon include blockchain verified user profiles. Additionally, we keep 5% commission of funds raised through Moon$hot Stories. Moonlighting’s freelance economy market is substantial and only getting bigger, with potential customers that include 7.5 billion freelance professionals worldwide, large and small companies, recruiters and sole-proprietors looking to hire. By 2020, freelancers workers are expected to make up 43% of the US workforce. By 2030, freelancers will account for 80% of the global workforce. If Moonlighting can capture just 1% of this market, it's a multi-billion dollar opportunity. In the near term, Moonlighting is focused on expanding to two new markets, Canada and the United Kingdom, through partnerships secured with the top news media companies in each country. 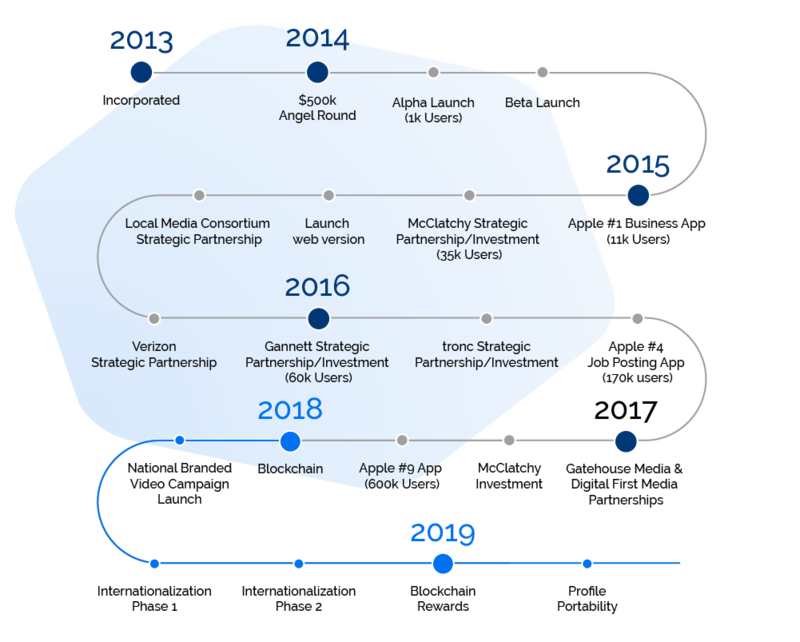 With this expansion, Moonlighting is on track to grow its user base to 500M+ and generate $100M by 2021. Our competitors include traditional job marketplaces like LinkedIn, Thumbtack and Upwork. Moonlighting is the only company integrating blockchain technology to build a safer and more secure hiring platform. 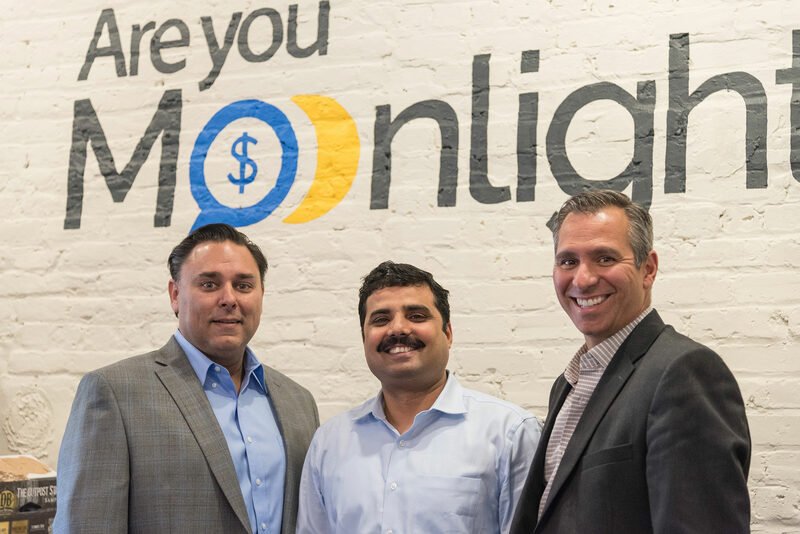 To date, Moonlighting has raised $6.3M from local Charlottesville, Virginia Angel investor Network (CAN), New Richmond Ventures (NRV), and news media companies McClatchy (NYSE: MNI), Gannett (NYSE: GCI), and Tribune Publishing (NASDAQ: TRNC). Jeff Tennery is the founder & CEO of Moonlighting and has spent over 25 years in senior executive leadership roles at Verizon, AT&T Wireless, nTelos, and Millennial Media. 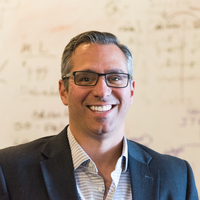 Prior to founding Moonlighting, Jeff served 7 years as the Senior Vice President, Business Development & Global Monetization for mobile advertising leader Millennial Media. He was responsible for delivering hundreds of millions of dollars annually across 50,000 applications worldwide and played an instrumental role in Millennial Media’s 2012 IPO. 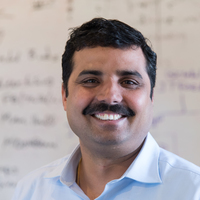 Ritesh Johar is co-founder & Chief Technology Officer for Moonlighting and architect of the proprietary mobile payments platform that powers the Moonlighting Marketplace. Before he co-founded Moonlighting, Johar excelled as a Technical lead where he designed, built, and managed the platform that generates $1B+ in mobile & online payments for Capital One. With 13+ years of expertise covering various aspects of software architecture, design, development, process and methodology for the Federal Reserve and Thomson Reuters, Johar brings a wealth of digital payments experience to his new venture. 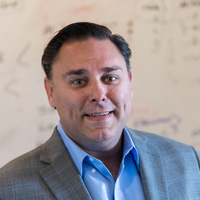 Roy Slater is co-founder & Chief Operating Officer for Moonlighting and an operations and process excellence professional with over 20 years of experience leading UI Design, ROI optimization, and mobile technology development. Before co-founding Moonlighting, Slater served as an operations manager at Capital One Financial, where he managed digital properties with revenues more than $1.5 Billion. Proudly hailing from Claremont, California, Slater has also held positions at Lendingtree.com, and GMAC/Ditech.com. The smallest investment amount that Moonlighting is accepting. Moonlighting needs to reach their minimum funding goal before the deadline. If they don’t, all investments will be refunded. If a trigger event for Moonlighting occurs, the discount provision gives investors equity shares (or equal value in cash) at a reduced price. Moonlighting needs to raise $25K before the deadline. The maximum amount Moonlighting is willing to raise is $1.07M. One year complimentary Boost membership ($120/year value), and our heartfelt appreciation. One-on-one consultation for the set up and optimization of your Moonlighting account, one year complimentary Boost Membership, and a Moonlighting T-shirt. Complementary lifetime Boost membership ($120/year value) + your choice of previous perks. "Investor" badge added to your Moonlighting profile + your choice of any previous perks. Join our beta tester list and receive first access to new features and releases + your choice of any previous perks. ‘Featured Moonlighting’ story about you published and distributed to a national audience + your choice of previous perks. Lunch with the CEO + your choice of any previous perks. Founder & CEO of Moonlighting with over 25 years in senior executive leadership roles at Verizon, AT&T Wireless, nTelos, and Millennial Media (IPO). With 13+ years of expertise covering various aspects of software architecture, design, development, process and methodology for the Federal Reserve, Thomson Reuters, and Capital One, Johar brings a wealth of digital payments experience. Before co-founding Moonlighting, Slater served as an operations manager at Capital One Financial, where he managed digital properties with revenues more than $1.5 Billion. Slater has also held positions at Lendingtree.com, and GMAC/Ditech.com. As the cost of living outpaces wage growth, more people are working multiple jobs. Smartereum, a social platform for cryptocurrency investors, traders, and analysts interviews Moonlighting Founder and CEO, Jeff Tennery. Upwork and Thumbtack will have a run for their money with Moonlighting on the scene. Learn more in our latest Founder Profile on KingsCrowd. Can Blockchain Solve The Common Problems Freelancers Face? Will 'Moonlighting' Startup Help Newspapers Regain Classified Revenue? Moonlighting is one of the fastest growing freelance marketplaces in the world and will be the first scaled hiring platform on the blockchain. The Moonlighting team of seasoned digital executives is well positioned to disrupt the $1T freelance industry with its best in class mobile application. Backed by the three largest news media companies (Gannett NYSE: GCI, Tribune NASDAQ: TRNC, McClatchy NYSE: MNI) Moonlighting has over 650,000 registered users on its platform, generated over $750k in revenue and is showcased in over 150 news media publications including the Chicago Tribune, LA Times, Miami Herald and the USA TODAY. Is Moonlighting a brand new company? Moonlighting has been operating since 2014 and has gained the trust of 650,000 users of the platform. The company has generated over $750k in revenues and raised over $6M with strategic and accredited investors. Who can use Moonlighting and where can they use it? With a mobile and website enabled marketplace, Moonlighting is currently available everywhere in the U.S. Current expansion plans include Latin America, Spain, U.K., India, Australia, and Canada. How does Moonlighting differentiate from similar business models and blockchain solutions in the recruitment space? 1. Moonlighting’s User Profiles are being transported to the blockchain to create more trust and safer hiring. Profiles will be more accurate and authentic (reviews, recommendations, education, licensing credentials) generating more trust for the hirer and the freelancer. 2. Moonlighting generates revenues from an affordable subscription model, which appeals to mass audience sizes of 1M or more. Competitors are charging 20-30% of a freelancer’s paycheck, which creates friction and drives users off the platform. Moonlighting’s use of cryptocurrency will allow users to keep 100% of their earnings and Moonlightings rewards program, paid in cryptocurrency, will retain users and keep engagement high. 3. 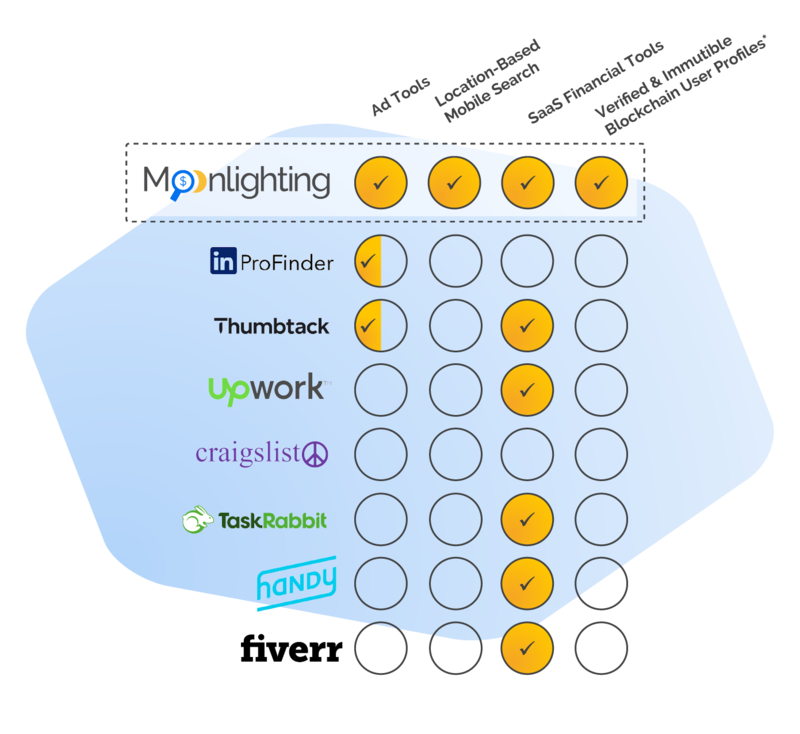 Moonlighting is democratizing the use of freelancer profiles and will allow users to port their profile to any employment marketplace in the gig economy. 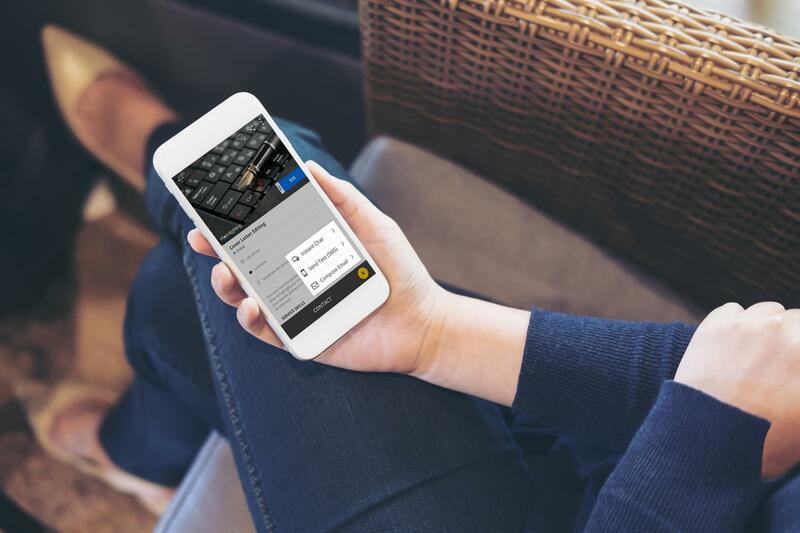 Users will be able to control the use of their data, which will be more secure and use the Moonlighting profile via single sign-on, saving users from having to register and manager multiple profiles across a highly fragmented gig economy. Can you elaborate on Moonlighting’s track record? The three co-founders have over 60 years of successful digital and financial tech experience and have taken start ups from inception to IPO to strategic acquisition. 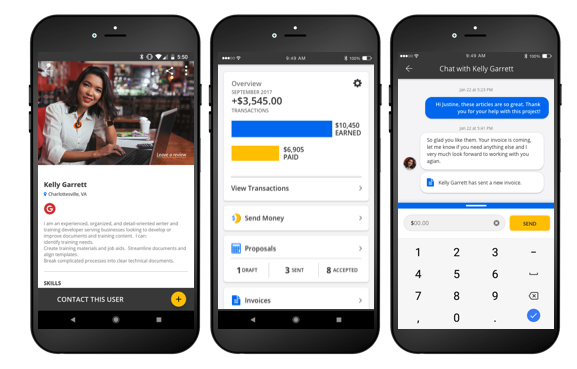 The team has worked at Verizon, Capital One, AT&T, AOL Lending Tree and the Federal Reserve and partnered with the top media and mobile companies. How does Moonlighting scale the company? Moonlighting is comprised of successful entrepreneurs who have built billion dollar companies and worked as technologists in supporting platform companies manage billions of dollars in mobile/digital transactions. Moonlighting has built a world-class sales distribution strategy via third party partnerships with Gannett, Tribune, McClatchy, Verizon, Monster, Yahoo and over 450 news media sites around the globe including new partnerships with the Johnston Press for UK expansion and Post Media, to bring Moonlighting to Canada. Moonlighting monetizes both sides of their marketplace with a simple $10 per month subscription called Boost, which helps freelancers stand out and gain more business on the platform. In addition, Moonlighting allows recruiters and staffing companies to post 30 day listing ranging from $40-$100 per month to promote specific jobs. Tim: We've got some amazing entrepreneurs today, this is gonna be really fun. But before we do, let's see what's happening backstage. Jeff: Hi, my name's Jeff Tennery. I'm the founder and CEO of Moonlighting; one of the fastest-growing freelance marketplaces in today's gig economy. I live in Charlottesville, Virginia, which is not the mecca of employment. Jeff: When the market crashed I was scared to death. My wife was pregnant with our fifth child, and I wanted to build something I knew I could use if I ever lost my job, to find work. And I knew that if I could use mobile technology, then I could help people find jobs anytime, anywhere around the world. Jeff: I'm backed by three publicly-traded companies, we've raised over six and a half million dollars. We built the product, now we're just gonna enhance it with blockchain cryptocurrency. Jeff: I got a chance to meet Tim a couple of times at some of the bitcoin and blockchain conferences. I actually spent one-on-one time with him and his family. That means a lot to us. We're a four year-old company. It was scary, but we picked the right path, and that's why we have 650,000 viewers on the platform. Jeff: Welcome to Moonlighting, my name's Jeff Tennery, I'm the founder and CEO of Moonlighting. One of the fastest freelance marketplaces growing in today's gig economy. Back in 2008 when the market crashed, I was deathly afraid of, you know, where I would find my next job. We're based in Charlottesville, Virginia. It's not like a mecca of a ton of employment there, and we built a mobile app that would help people find work very, very quickly. The experience looks and feels a lot like Uber, but we mixed it with a little bit more of LinkedIn and Facebook. What we have is over 650,000 people over the last two and a half years have signed up for Moonlighting. Every type of job you can imagine. We joke we got the fire jugglers, the stilt walkers on this side, and you've got professionals like accountants, attorneys, photographers, DJs. Jeff: What we're looking to do is expand globally, and we made a decision a year ago to get into blockchain. When you have 650,000 users on your platform, you gotta take care of that data. Gotta make sure that it's authentic, it's real, and that's what blockchain does. Tim: You just glossed over this, "we're doing an ICO". You're trying to connect people and you're using the blockchain to make sure that they're all legitimate. Okay, that's the blockchain. Why are people every gonna buy this coin? Jeff: There's two use cases; one is being able to do that to pay one another for services, to design a website, to do my taxes. The other piece of it too is we'll be able to have people use the currency so that they can buy premium services. So they can move their way up through our platform, so they get discovered faster, and they are able to get hired very quickly. Bill: But getting it started, so that people accept the currency, that's a really tough job. Bill: How do they appear? Jeff: You know what? We've been, we're very good at social media marketing. We have partnerships with the news media companies. Not only are they investors, but they also are commercial partners. You'll find Moonlighting in the LA Times, Chicago Tribune, USA Today. In that section where people are looking for employment. Naveen: What happens, I mean, the reason you do a gig-economy is because I wanna get paid and somehow, you know, feed my family. Having a coin, unless it's tradable and I can get the fiat currency, is not gonna buy me lunch. Jeff: Well, you can, actually the way it's set up, you can basically use the coin back into Ethereum and still get to fiat and do that as well. Naveen: But this seems to be the tail wagging the dog. I mean what you're saying is, "I wanna clear the cryptocurrency so what can I do?" As opposed to, "I have a problem that needs solving." I mean, crypto is one way of doing it as opposed to saying, "here is the business, here is the problem I'm trying to solve, here are the ten different ways of doing it, and I selected this." Jeff: I think I need to reverse back on there, maybe a little bit of the nerves of being on here, but we've been around for 4 years. We have created a business. We've had over 49 million dollars that has been transacted on the platform. Tim: And how much do you get out of that? Jeff: We changed that model up dramatically again, with understanding our customers. People typically leave gig economies if you're taking too much per paycheck. So, anywhere from 20-30%. So our revenues, we've got a little under a million dollars. Tim: [crosstalk 00:09:32] Over that 4 years? Jeff: Yes, correct. Over the last 18 months we've done about 750,000 dollars. Tim: And somehow, do you think that your token is now going to enhance your existing business? Or are you just using it as a way to raise money? Tim: Well it costs a lot more in legal fees. Jeff: Well we talked about that I think a few months ago, absolutely. Jeff: Blockchain is really the solution for that much data on the platform. Being able to make it secure, and also let people use that data where they choose to use it. Jeff: People could take this Moonlighting profile, that's very similar to LinkedIn, and being able to use it with whatever platform they chose to use it on. Bill: Wait a minute. LinkedIn is where a bunch of individuals get to know each other. Jeff: That's how our platform is, it's a mixture of basically LinkedIn meets Venmo. Jeff: When we started the company back in 2014, our goal was to disrupt LinkedIn. We felt like LinkedIn wasn't connecting, it was connecting people, but people weren't really hiring one another. Bill: But Moonlighting isn't connecting people. Jeff: We were called Craigslist without the creepiness back in the early days. Tim: Why are you doing this? Why do you care? Jeff: Why do I care? I care because I'm a father of five, and in 2008 I was scared out of my mind. My wife was pregnant with our fifth child and I was afraid I was gonna lose my job. So Moonlighting, we started the company by literally, you know, Moonlighting on the side and we wanted to make sure that I had something that I could use. I was in Charlottesville. I couldn't afford to move back to big cities. So we wanted to build something that was ubiquitous, worked anywhere. We've done that very successfully for the last three and a half years, and again, not using cryptocurrency as just a way to circumvent and raise money. We're doing it for the right reasons; for blockchain, and to be able to take this international. Tim: Well, terrific. Well thank you for coming in to meet the Drapers. Jeff: Thank you. Appreciate it. Jeff: You got it. Thank you so much. Jeff: I jumped a little too quickly into probably blockchain and cryptocurrency cause I'm so excited about it. I think they felt like I was doing the token sale and working in blockchain for the wrong reasons, which is not the case. Jeff: I think investors are looking for things that they can trust. And not only is blockchain about trust, but it's about companies you can trust, and people you can trust. All of that comes together really nice with Moonlight and I hope that did resonate with the Drapers. Jeff: Our goal is to generate 100 million dollar by 2021, and being able to share that revenue with our users and customers. We have 650,000 now, we're calling to get 6 million over the next three years. Jeff: I'm inviting you, at home, to invest in Moonlight, and to be a part of the biggest revolution in employment over the last 20 years. Tim: Naveen, is Moonlighting a moonshot? Naveen: It's definitely not a moonshot, but it's a good idea. This is the old idea of classifieds. It's really, purely an execution play at this point. Bill: [crosstalk 00:12:50] There must be a lot of competition in this. Polly: He seemed like he was operating from a position of fear rather than a passion. You know, like a, "I don't wanna lose my job, life is, I better do this". Instead of, you know, this is, "kind of a dream of mine." Tim: That's funny, I was thinking the exact same thing on fear. I felt like he came at it from the position of, "I felt like I had to do it 'cause I might lose my job." Tim: So I was thinking the business itself, there's some potential there. The ICO that he's doing for a new token, I thought was, he's just trying to raise money. I mean, why not just use bitcoin? Tim: Anyway, so I think what we'll do, is we'll go to the crystal ball. Okay? Okay so we start doing this, Naveen. We just sort of feel the power of the crystal ball. You got the vibe? Okay. Tim: So, thumbs up. Thumbs down. Thumbs all around. Polly: Half-measures we can do? 'cause I didn't know the rules there, I might've done a half-measure. The Company's success depends on the experience and skill of the managers, its executive officers and key employees. In particular, the Company is dependent on Roy Slater, Ritesh Johar, and Jeff Tennery who are the Chief Operating Officer, the Chief Technology Officer, and the Chief Executive Officer, respectively, of the Company. The Company has or intends to enter into employment agreements with Roy Slater, Ritesh Johar, and Jeff Tennery although there can be no assurance that it will do so or that they will continue to be employed by the Company for a particular period of time. The loss of Roy Slater, Ritesh Johar, Jeff Tennery or any manager or executive officer could harm the Company's business, financial condition, cash flow and results of operations. The Company is dependent on Roy Slater, Ritesh Johar, and Jeff Tennery in order to conduct its operations and execute its business plan, however, the Company has not purchased any insurance policies with respect to those individuals in the event of their death or disability. Therefore, if Roy Slater, Ritesh Johar, or Jeff Tennery dies or becomes disabled, the Company will not receive any compensation to assist with such person's absence. The loss of such person could negatively affect the Company and its operations. The amount of capital the Company is attempting to raise in this Offering is not enough to sustain the Company's current business plan. In order to achieve the Company's near and long-term goals, the Company will need to procure funds in addition to the amount raised in the Offering. There is no guarantee the Company will be able to raise such funds on acceptable terms or at all. If we are not able to raise sufficient capital in the future, we will not be able to execute our business plan, our continued operations will be in jeopardy and we may be forced to cease operations and sell or otherwise transfer all or substantially all of our remaining assets, which could cause a Purchaser to lose all or a portion of his or her investment. We may have difficulty raising needed capital in the future as a result of, among other factors, our lack of an approved product and revenues from sales, as well as the inherent business risks associated with our company and present and future market conditions. Any sales and future sources of revenue may not be sufficient to meet our future capital requirements. We will require additional funds to execute our business strategy and conduct our operations. If adequate funds are unavailable, we may be required to delay, reduce the scope of or eliminate one or more of our research, development or commercialization programs, product launches or marketing efforts, any of which may materially harm our business, financial condition and results of operations. Therefore, you have no audited financial information regarding the Company's capitalization or assets or liabilities on which to make your investment decision. If you feel the information provided is insufficient, you should not invest in the Company. We are subject to income taxes as well as non-income based taxes, such as payroll, sales, use, value-added, net worth, property and goods and services taxes, in the U.S. Significant judgment is required in determining our provision for income taxes and other tax liabilities. In the ordinary course of our business, there are many transactions and calculations where the ultimate tax determination is uncertain. Although we believe that our tax estimates are reasonable: (i) there is no assurance that the final determination of tax audits or tax disputes will not be different from what is reflected in our income tax provisions, expense amounts for non-income based taxes and accruals and (ii) any material differences could have an adverse effect on our financial position and results of operations in the period or periods for which such determination is made. We are not subject to Sarbanes-Oxley regulations and lack the financial controls and safeguards required of public companies. We do not have the internal infrastructure necessary, and are not required, to complete an attestation about our financial controls that would be required under Section 404 of the Sarbanes-Oxley Act of 2002. There can be no assurance that there are no significant deficiencies or material weaknesses in the quality of our financial controls. We expect to incur additional expenses and diversion of management's time if and when it becomes necessary to perform the system and process evaluation, testing and remediation required in order to comply with the management certification and auditor attestation requirements. Various federal and state labor laws govern our relationship with our employees and affect operating costs. These laws include minimum wage requirements, overtime pay, healthcare reform and the implementation of the Patient Protection and Affordable Care Act, unemployment tax rates, workers' compensation rates, citizenship requirements, union membership and sales taxes. A number of factors could adversely affect our operating results, including additional government-imposed increases in minimum wages, overtime pay, paid leaves of absence and mandated health benefits, mandated training for employees, increased tax reporting and tax payment changing regulations from the National Labor Relations Board and increased employee litigation including claims relating to the Fair Labor Standards Act. Costs associated with information security ' such as investment in technology, the costs of compliance with consumer protection laws and costs resulting from consumer fraud ' could cause our business and results of operations to suffer materially. Additionally, the success of our online operations depends upon the secure transmission of confidential information over public networks. The intentional or negligent actions of employees, business associates or third parties may undermine our security measures. As a result, unauthorized parties may obtain access to our data systems and misappropriate confidential data. There can be no assurance that advances in computer capabilities, new discoveries in the field of cryptography or other developments will prevent the compromise of our customer transaction processing capabilities and personal data. If any such compromise of our security or the security of information residing with our business associates or third parties were to occur, it could have a material adverse effect on our reputation, operating results and financial condition. Any compromise of our data security may materially increase the costs we incur to protect against such breaches and could subject us to additional legal risk. Security breaches and other disruptions could compromise our information and expose us to liability, which would cause our business and reputation to suffer. We collect sensitive data, including intellectual property, our proprietary business information and that of our customers, business partners and personally identifiable information of our customers, in our data centers and on our networks. The secure processing, maintenance and transmission of this information is critical to our operations and business strategy. Despite our security measures, our information technology and infrastructure may be vulnerable to attacks by hackers or breached due to employee error, malfeasance or other disruptions. Any such breach could compromise our networks and the information stored there could be accessed, publicly disclosed, lost or stolen. Any such access, disclosure or other loss of information could result in legal claims or proceedings, liability under laws that protect the privacy of personal information and regulatory penalties, damage our reputation and cause a loss of confidence in our services, which could adversely affect our business/operating margins, revenues and competitive position. Negative public opinion could damage our reputation and adversely affect our business. Reputation risk, or the risk to our business from negative public opinion, is inherent in our business. Negative public opinion can result from our actual or alleged conduct in any number of activities. Negative public opinion can also result from media coverage, whether accurate or not. Negative public opinion can adversely affect our ability to attract and retain customers and employees and can expose us to litigation and regulatory action. The Company could be negatively impacted if found to have infringed on intellectual property rights. The Units of Crowd SAFE will not be freely tradable until one year from the initial purchase date. Although the Units of Crowd SAFE may be tradable under federal securities law, state securities regulations may apply and each Purchaser should consult with his or her attorney. You should be aware of the long-term nature of this investment. There is not now and likely will not be a public market for the Units of Crowd SAFE. Because the Units of Crowd SAFE have not been registered under the Securities Act or under the securities laws of any state or non-United States jurisdiction, the Units of Crowd SAFE have transfer restrictions and cannot be resold in the United States except pursuant to Rule 501 of Regulation CF. It is not currently contemplated that registration under the Securities Act or other securities laws will be effected. Limitations on the transfer of the Units of Crowd SAFE may also adversely affect the price that you might be able to obtain for the Units of Crowd SAFE in a private sale. Purchasers should be aware of the long-term nature of their investment in the Company. Each Purchaser in this Offering will be required to represent that it is purchasing the Securities for its own account, for investment purposes and not with a view to resale or distribution thereof. There is no assurance that a Purchaser will realize a return on its investment or that it will not lose its entire investment. For this reason, each Purchaser should read the Form C and all Exhibits carefully and should consult with its own attorney and business advisor prior to making any investment decision. Purchasers will not become equity holders until the Company decides to convert the Securities into CF Shadow Securities or until an IPO or sale of the Company. Purchasers will not have an ownership claim to the Company or to any of its assets or revenues for an indefinite amount of time, and depending on when and how the Securities are converted, the Purchasers may never become equity holders of the Company. Purchasers will not become equity holders of the Company unless the Company receives a future round of financing great enough to trigger a conversion and the Company elects to convert the Securities. The Company is under no obligation to convert the Securities into CF Shadow Securities (the type of equity Securities Purchasers are entitled to receive upon such conversion). In certain instances, such as a sale of the Company, an IPO or a dissolution or bankruptcy, the Purchasers may only have a right to receive cash, to the extent available, rather than equity in the Company. Purchasers will not have voting rights, even upon conversion of the Securities into CF Shadow Securities. Purchasers will not have the right to vote upon matters of the Company even if and when their Securities are converted into CF Shadow Securities. Upon such conversion, CF Shadow Securities will have no voting rights and even in circumstances where a statutory right to vote is provided by state law, the CF Shadow Security holders are required to vote with the majority of the security holders in the new round of equity financing upon which the Securities were converted. For example, if the Securities are converted upon a round offering Series B Preferred Shares, the Series B-CF Shadow Security holders will be required to vote the same way as a majority of the Series B Preferred Shareholders vote. Thus, Purchasers will never be able to freely vote upon any director or other matters of the Company. Purchasers will not be entitled to any inspection or information rights other than those required by Regulation CF. Purchasers will not have the right to inspect the books and records of the Company or to receive financial or other information from the Company, other than as required by Regulation CF. Other security holders may have such rights. Regulation CF requires only the provision of an annual report on Form C and no additional information. This lack of information could put Purchasers at a disadvantage in general and with respect to other security holders. In a dissolution or bankruptcy of the Company, Purchasers will be treated the same as common equity holders. In a dissolution or bankruptcy of the Company, Purchasers of Securities which have not been converted will be entitled to distributions as if they were common stockholders. This means that such Purchasers will be at the lowest level of priority and will only receive distributions once all creditors as well as holders of more senior securities, including any preferred stockholders, have been paid in full. If the Securities have been converted into CF Shadow Securities, the Purchasers will have the same rights and preferences (other than the ability to vote) as the holders of the Securities issued in the equity financing upon which the Securities were converted. Purchasers will be unable to declare the Security in 'default' and demand repayment. Unlike convertible notes and some other securities, the Securities do not have any 'default' provisions upon which the Purchasers will be able to demand repayment of their investment. The Company has ultimate discretion as to whether or not to convert the Securities upon a future equity financing and Purchasers have no right to demand such conversion. Only in limited circumstances, such as a liquidity event, may the Purchasers demand payment and even then, such payments will be limited to the amount of cash available to the Company. The Company may never receive a future equity financing or elect to convert the Securities upon such future financing. In addition, the Company may never undergo a liquidity event such as a sale of the Company or an IPO. If neither the conversion of the Securities nor a liquidity event occurs, the Purchasers could be left holding the Securities in perpetuity. The Securities have numerous transfer restrictions and will likely be highly illiquid, with no secondary market on which to sell them. The Securities are not equity interests, have no ownership rights, have no rights to the Company's assets or profits and have no voting rights or ability to direct the Company or its actions.In addition to the risks listed above, businesses are often subject to risks not foreseen or fully appreciated by the management. It is not possible to foresee all risks that may affect us. Moreover, the Company cannot predict whether the Company will successfully effectuate the Company's current business plan. Each prospective Purchaser is encouraged to carefully analyze the risks and merits of an investment in the Securities and should take into consideration when making such analysis, among other risks, the Risk Factors discussed above.THE SECURITIES OFFERED INVOLVE A HIGH DEGREE OF RISK AND MAY RESULT IN THE LOSS OF YOUR ENTIRE INVESTMENT. ANY PERSON CONSIDERING THE PURCHASE OF THESE SECURITIES SHOULD BE AWARE OF THESE AND OTHER FACTORS SET FORTH IN THIS FORM C AND SHOULD CONSULT WITH HIS OR HER LEGAL, TAX AND FINANCIAL ADVISORS PRIOR TO MAKING AN INVESTMENT IN THE SECURITIES. THE SECURITIES SHOULD ONLY BE PURCHASED BY PERSONS WHO CAN AFFORD TO LOSE ALL OF THEIR INVESTMENT. I believe in the freelance concept and am honored to become a part of your revolution! While I haven't received any work yet, I want to be poised to do so! Helping people meet their goals. Moonlighting has a real opportunity to bring together the enthusiasm, and immutability of the blockchain, while also providing people with a platform to create their own careers. There's already product traction, market fit, and a strong user-base. I believe in this company and what they stand for. I believe in your concept of blockchain utilization and changes in employer-employee relationships. The Gig Economy is an obvious megatrend. Moonlighting seems to have traction. 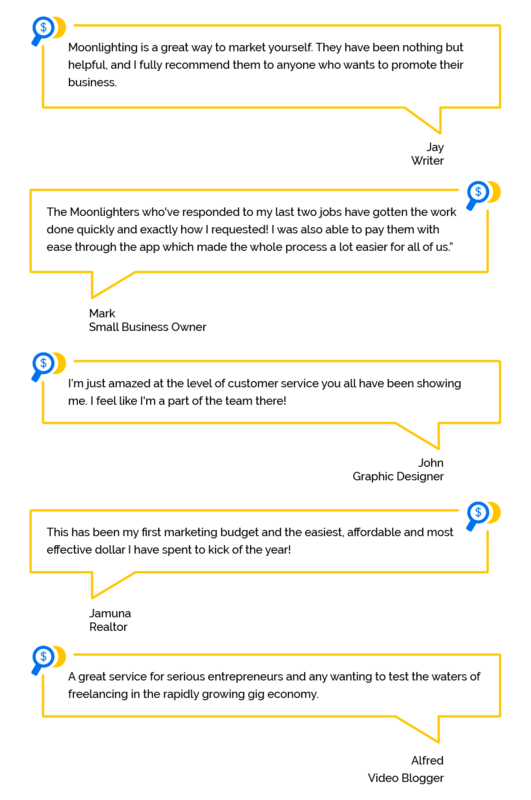 App comments are believable and actionable.